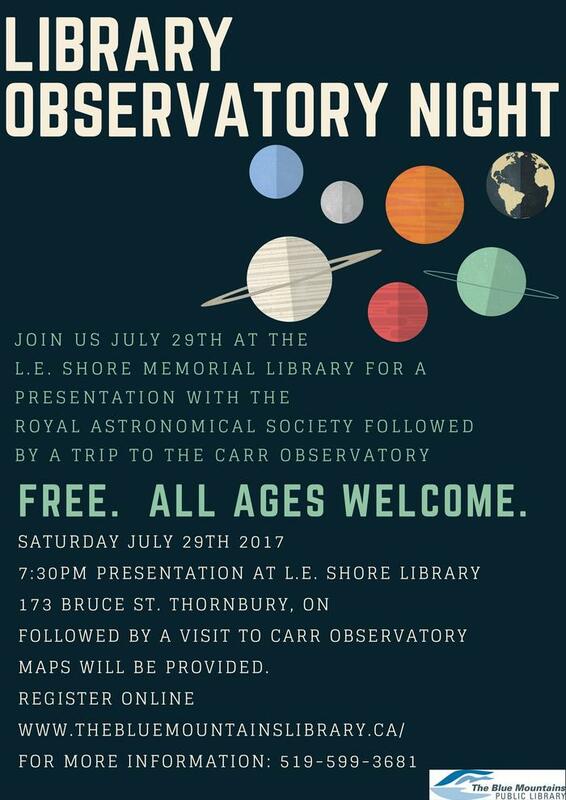 Join us on Saturday July 29th for a night of learning and exploration with the Royal Astronomical Society of Canada. The evening will begin at 7:30pm with a lecture at L.E. Shore Memorial Library, Astronomy – The Art. Afterwards, when the sun sets, we will head to the Carr Astronomical Observatory - CAO (maps will be provided. Must have own transportation) to use the telescopes to view the planets, galaxies and stars. Using real photographs and images from amateur and professional astronomers, as well as space-borne telescopes, we’ll take a tour, from our own backyard out to the edge of the observable Universe. We’ll take time to appreciate the beauty of the images and learn some fascinating science behind each of them. The Aurorae, the Sun, mighty Jupiter and beautiful Saturn, the most beautiful parts of our own galaxy, and our distant neighbours will be delights for the eyes. Chris Vaughan aka @AstroGeoGuy is a professional Geophysicist and Astronomer with a passion for public outreach and education. He is the recipient of the Royal Astronomical Society of Canada, Toronto Centre’s 2013 Andrew Elvins Award for Promotion of Astronomy, and his weekly Astronomy Skylights bulletin, written for non-astronomers, is received by subscribers worldwide and archived on Tumblr. Since 1996, Chris has been visiting classrooms, hosting science-themed assemblies, running science clubs, and holding Star Parties for schools and other groups around the GTA. Chris also writes a column on Mobile Astronomy for Space.com. 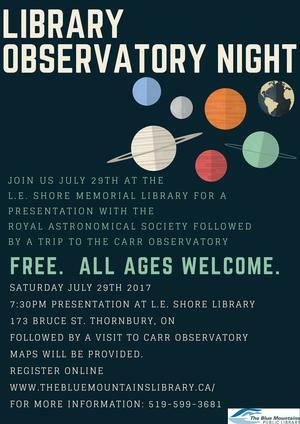 Chris is part of the team that operates the Carr Astronomical Observatory (CAO) near Thornbury, a regular presenter of The Sky This Month at the monthly Recreational Astronomy Night meetings of the RASC Toronto Centre, and has written astronomy content for their website. A Mineral Exploration Geophysicist since 1980, Chris has given many public and classroom presentations on geology, rocks and minerals, mining, and archaeological age dating. He has served two terms as president of the Canadian Exploration Geophysical Society (KEGS) and is a member of the Society of Exploration Geophysicists, the Canadian Geophysical Union, PDAC, the American Geophysical Union, the Planetary Society, and RASC. A wannabe astronaut and astronomy enthusiast since elementary school, and a lifelong learner, Chris has recently been learning to speak, read, and write Mandarin.